Go to the store and grab some plain cookies or dough and some frosting. Then go to The Decorated Cookie Blog to see how I pumped out about a dozen of these Easy Winter Flower Cookies in 10 minutes. It’s Christmas Eve and you have 47 presents to wrap, the in-laws are coming for dinner, you have to go to the post office to buy 3 more stamps, and you still want to make cookies. I’ve got you covered (on the cookie part at least). Since I spent the month hosting some of my favorite bloggers and their cookies I started to think I might forget how to write a blog post so I took over Meaghan’s site for a day. 1. Pipe dots of buttercream around the edge of a circle cookie. 2. Use the tip of a spoon to drag the dots toward the center. 4. Place white nonpareils in the center. That’s it, folks! You can use this technique on any cookie that you like. I even used it on plain store bought cookies here (shhhhh!). 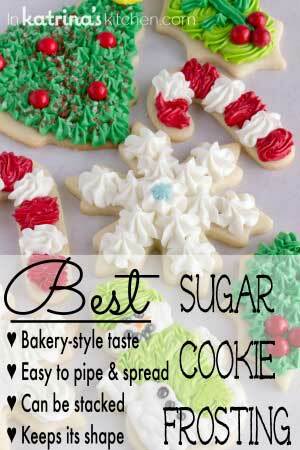 You can find my favorite Best Sugar Cookie recipe and my Best Christmas Cookie Frosting. I hope you find a way to bring somebody joy today. When in doubt add sprinkles. Sprinkles make everyone smile. We’re finishing up a whole month of cookies every day. I hope you enjoyed I’ll Bring the Cookies as much as I did! Have you seen this Be a Good Cookie Spatula from OXO hanging around lately? 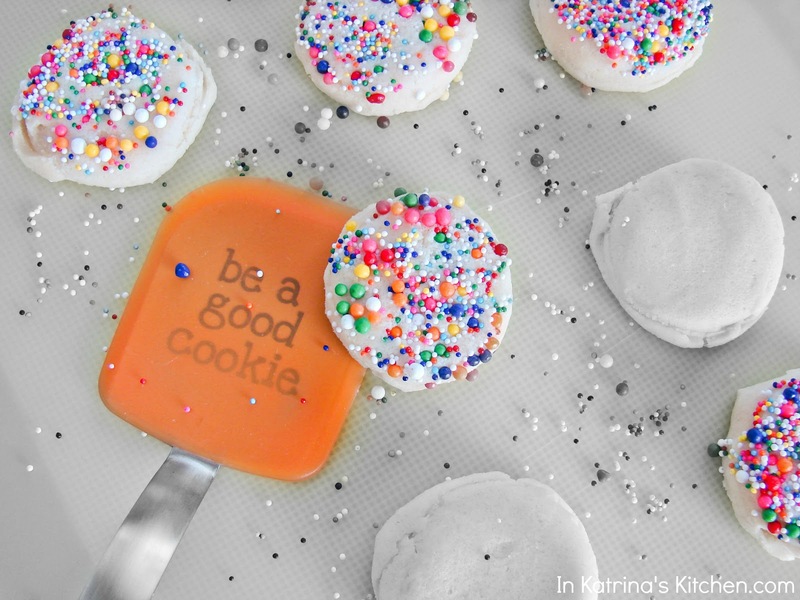 Last year, the OXO “Good Cookie” Spatula helped raise over $250,000 for pediatric cancer research as part of their partnership with Cookies for Kids’ Cancer, a nonprofit organization dedicated to raising funds for pediatric cancer research. It was started by two OXO employees, Gretchen and Larry Witt, who lost their little boy, Liam, to pediatric cancer. It’s not too late to order a Good Cookie Spatula and support a great cause; plus every time you look at it you can’t help but smile! 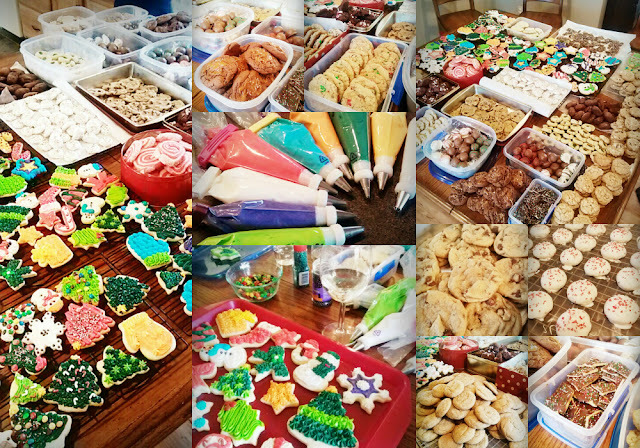 Some friends and I get together every year to exchange cookies, bake, and decorate together. There’s always lots of laughter and lots and lots of calories. This year was our biggest exchange yet with over 63 DOZEN! 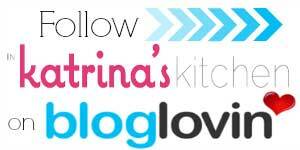 Awesome giveaway …I love it all and do not have any of it…love your blog.. I want to win this giveaway! I love OXO products! Thank you you for sponsoring this giveaway and Happy Holidays. Thanks for this wonderful giveaway. I love OXO products! Can't wait to try these cookies! They are precious! Hoping my name is drawn. Thanks for the opportunity to try and win. YES! I love OXO products, this is a great giveaway! What a wonderful give away. I would love to be the lucky winner. Merry Christmas to you! Such a cool giveaway! I LOVE the spatula!!! My recent post 1000 Miles? Check! Love OXO products! Happy Holidays!!! Merry Christmas! Thanks for the great giveaway! What a great giveaway! I am trying to bake more, so winning this set would be awesome! Love all the oxo products! What a great giveaway! So many cookies all month, love it! Sprinkles do make everything better! Those measuring beakers are so adorable. It just makes you want to bake just to have an excuse to use them! What a great baking kit! Thanks so much for the giveaway! Great giveaway! I hope you have a very Merry Christmas, Katrina! "Oh, XO "!! 😉 Great idea! This is such a FUN site! I definitely need that OXO cookie spatula. We did a cookie/treat exchange at work this year and it was awesome. I really like Oxo products, but I adore those cute beakers. Happy Holidays! All those cookies? I'd be in absolute heaven! How fun to do all that baking and decorating with friends. My recent post Zachary is Back! I love OXO products! I can never have enough of them! Beautiful site and nice tutorials… You helped me a lot as a beginner… Happy holidays. Fabulous giveaway, would love to win!! terrific giveaway. I like Oxo products a lot. oxo is my favorite brand for the kitchen. great giveaway! the flower cookies are gorgeous! I so want to enter this awesome giveaway, but can't use rafflecopter from my phone & that's the only online access I have. I subscribe to your emails, follow on facebook & pinterest. Looks like lots of fun and delicious cookies! I need to see if I can organize a cookie exchange in this area. I haven't had one to go to since a couple of moves ago. Wow. Wow. Wow. I would LOVE to win these awesome kitchen/baking utensils! What a perfect giveaway and beautiful cookies! If only i had the appliances and space to bake so much at the same time! Obviously I want to win this! I love OXO and would love to win this. Your cookies are beautiful. Thanks for the chance to enter. OXO is the best brand for baking utensils….great giveaway!! I NEED every one of those! First, thank you for the wonderful giveaway! It would be so nice to win this giveaway. I love and use OXO products. I love OXO products! Thanks for the giveaway! Pretty cookies. But hanks for the giveaways. Thanks for the great giveaway. Merry Christmas! http://pinterest.com/pin/295196950545106549/ i had added your giveaway on my pinterest hope am qualified 🙂 Nice blog u got! its amazing dear. Beautiful cookies and Awesome giveaway!!! Thanks for the chance to win. I love those adjustable measuring cups! The one I am using now is 1970's Tupperware, I think maybe? It's that retro yellow. Looks like a great giveaway. I love OXO! I would Love the OXO! I bake so much and am building my own kitchen. What a great giveaway! I get such an urge to be in the kitchen in the early new year. I really like the flower cookies. Oh fun stuff! I adore those little beakers! AWESOME giveaway ~ AWESOME blog! That is such a beautiful cookie! 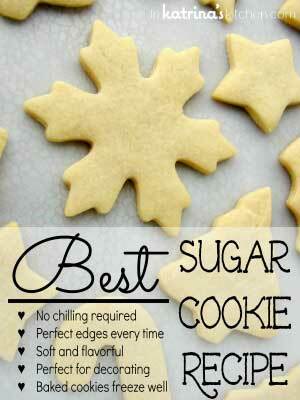 Love the blog~ Wish I was a great cookie maker! Cute spatula, and those beakers! Beautiful piping! Making me really hungry! What great cookies. These are such wonderful items when baking in the kitchen. I love OXO! They make the best stuff. Plus, I don't have any of these, so this is perfect! I love baking giveaways they are the best! I want to be a good cookie! I also love the idea of using all this gear with my little girl. This sounds like an awesome contest! Wow – I Love OXO – they always have the BEST products and stand up to the test of time, which is so important to me!!! Thanks for hosting this giveaway! Whoever wins will not be disappointed! Happy baking & creating to all!!! That's a lot of nice tools from a company that does them very well! I am very excited about the giveaway and I am loving the simple cookies. 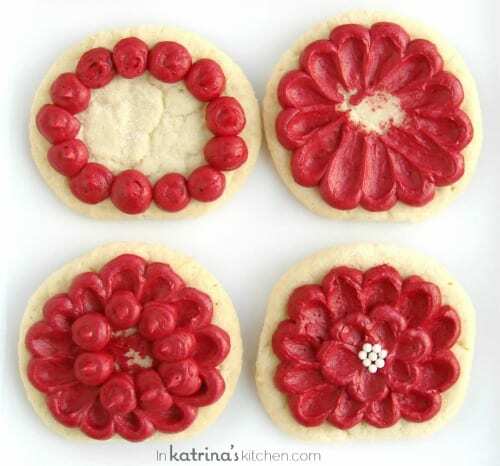 Your flower cookies are simply gorgeous, K! ANd I do love OXO products too. I got a cherry pitter from Camp Blogaway and the thing works like magic! What a great giveaway! And beautiful cookies!!! 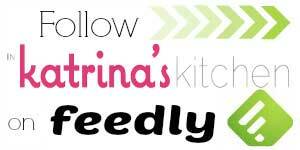 Yummy giveaway – count me in!!! These are so darn cute! Love the easy frosting technique…right up my alley!! i would love to have fancy oxo stuff in my kitchen!! Got a Kitchenaid mixer for Christmas, now I just need all the tools that go along with learning to bake! Be good to me Oh Great Random Number Generator! I want to be a good cookie! Fun. I love to make cookies! Ah, your table looked like mine did a few days ago-loaded with cookies! Thanks for this awesome giveaway! I love cookies. I'll always put the Oxo goodies to use ! Great giveaway & pretty cookies! What an incredible cause! I bought the spatula and the Cookies for Kids cookbook as a gift this holiday. I love their mission and think it's wonderful that you got involved! My recent post Happy Everything! Yay! Love OXO stuff, it's the best! this prize package looks like lots of fun! What a great give-away. I have enjoyed your blog this year!! What a wonderful giveaway!! I love oxo products!! Thanx for chance! wanting totryall the new cookie recipes. there goes the 40 pounds i just lost this past 6 months What can i say< I am addicted to recipes. Great giveaway, and an amazing amount of cookies! Awesome, what a great giveaway! I could use every item in my kitchen!! but thanks for showing how you made them. That would be an amazing gift. Loving all the OXO pieces above! The things I could do with them!! Thanks for hosting a contest! Love your blog and the giveaway! Thanks!! I love OXO! The products would be fantastic to cook with. YUMMY!! thanks for the chance to win! I could def use some kitchen utensil updating! Especially the spatula. I've been using one that caught on fire and slightly melted in my college undergrad days haha! Love OXO products – thanks for the giveaway opp!! I love OXO products!! And these cookies look delish! Oh man, so can I crash next year's exchange?! I really love the work that OXO is doing with Cookies for Kids' Cancer, just one more reason to love their products. And your cookies are so beautiful and festive! Absolutely fabulous cookies! will you be posting any of the recipes? Love this giveaway. Thank you. Always looking for great idea's … perfect site !!! 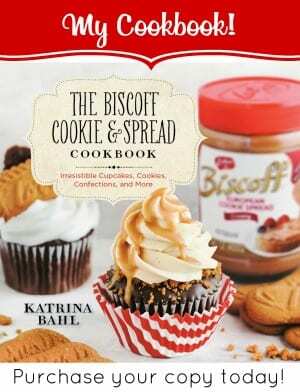 This looks like a great giveaway… and I love the looks of those cookies! What a great giveaway and those flowers are beautiful! I need a cupcake froster! Thanks for the chance to win! I so enjoyed baking cookies this Christmas and look forward to doing a lot more. Love the look of the sprinkle cookies! What recipe are they? Wow!! What an awesome giveaway, I love OXO!! Love the flower design! So cool! Awesome giveaway! 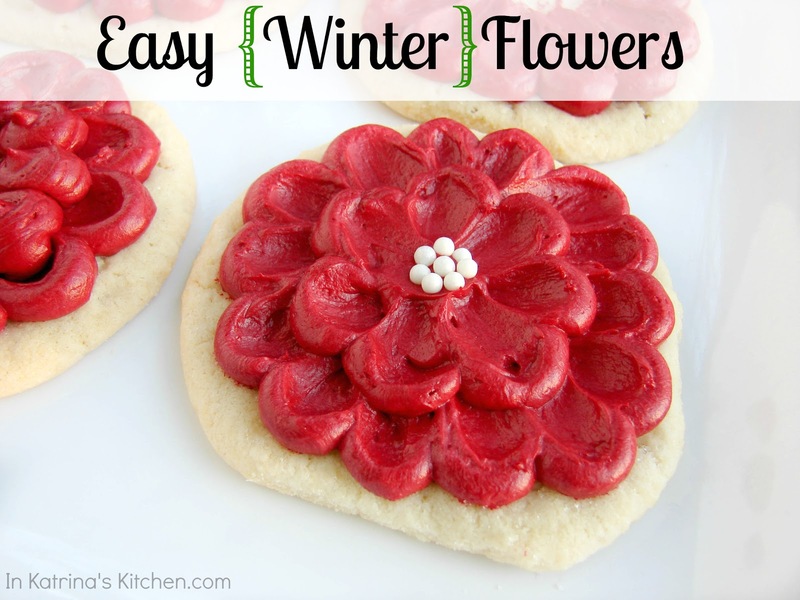 And those flower cookies are gorgeous! Oh I need to replace some if my kitchen basics, what great timing, I LOVE OXO products too! Awesome giveaway! Can't wait to try those cookies too. Awesome giveaway and pretty cookies! Just found this giveaway and would LOVE this! Have never tried OXO! You are very creative Katrina, i like your recipe presentation… Yummy.. Lovely cookies. My recent post Which will i use, blender or juicer? I need to make those cookies! This is my first time viewing your blog and I signed up before I knew about this contest. It makes this even more fun to belong to and enjoy the comments and pictures and recipes, thankyou.